Backyard gardeners living in Southern California can grow greens throughout the year, but it can be difficult during the summer months when the temperature is high and the sun is strong. Most of the delicate greens we enjoy in our salads start from seeds that prefer germinating in soil that is right around 70 degrees. This means that all of those hot summer days when the soil temperature definitely gets over 80 degrees make it pretty difficult to successfully start lettuces and similar greens outdoors during the summer. To make matters worse, if you do manage to get your seeds to germinate before the summer heat really sets in, your young lettuce plants may bolt as soon as the temperature increases and before they provide you with any usable greens. On the other hand, lettuce seeds also do not want to germinate well when the soil is too cold, which can make it a challenge to grow winter greens, particularly for folks living in inland or mountainous areas where the temperatures drop much lower than what we experience in coastal communities. This means that spring and fall are often the best times for most folks to plant seeds, and it is during these seasons that more backyard gardeners report the most success with growing a bountiful harvest of tasty lettuces. But really, we can grow greens any time of the year in Southern California, and fall and winter are wonderful times to take advantage of the opportunity to use our garden space to grow ingredients for healthy, nutrient-dense salads that we can enjoy between heavy holiday meals and all of that Halloween candy. 1. If you are starting your seeds in the middle of winter and the temperature is lower than about 60 degrees, or if you are starting them in the fall for a winter harvest and the temperature is still regularly over 80 degrees, start your seeds indoors. This will give your seeds the chance to germinate in more favorable conditions and grow into strong, little plants before transplanting them. 2. 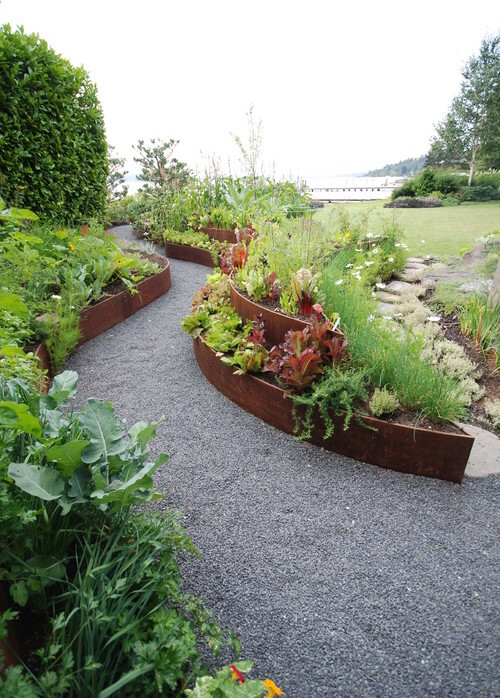 Grow your winter greens in raised garden beds, containers or a vertical garden where you have more control of the soil content. 3. Prepare your soil before planting seeds or plants. Greens like nitrogen, so it is a good idea to add some organic seaweed or a store-bought product to amend your soil before planting. If you are wondering how to grow lettuces after your summer and fall harvests, keep in mind that your soil probably needs a little help, and now would be a good time to add some of that compost from your backyard compost pile or bin. 4. Greens prefer moist soil and become stressed when it is too dry. This, of course, does not work well for Southern Californians who are trying to conserve every possible drop of water. To keep your greens happy and stick to your water conservation efforts, grow your lettuces and other greens in smaller containers or vertical planter pockets with room enough for their shallow roots to grow but no extra soil that will disperse moisture and waste water. It requires less water to keep your soil moist when there is less soil to water, so pay attention to the size of the containers you use. 5. You can also keep conserving water and keep your greens well watered by harvesting water for use in your garden. Install a rain barrel, stick a bucket in the shower to catch water while the water warms up and keep a bucket near the sink to catch water when washing vegetables or changing the water in your pet bowls. You can then use this harvested or reclaimed water in your garden without the guilt of using water from the hose. 6. 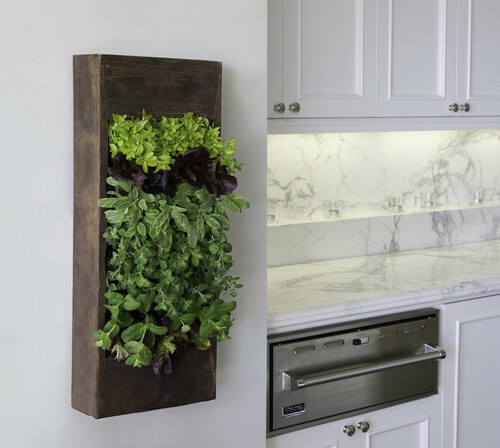 If you are concerned about the heat — or the cold — you can easily grow your lettuces indoors in a windowsill garden or vertical garden. This option also keeps your salad greens even closer at hand during meal prep. 7. Rather than plant all of your seeds at once, plant a little each week. By practicing succession planting, you can make sure you have delicious greens to enjoy all winter — rather than one big harvest. 8. Grow leafy greens instead of head lettuces. Heads of lettuce are great, but that one-time harvest will likely leave you wanting more. Instead, grow leafy greens and harvest just what you need from the outer leaves of the plant. This will encourage the plant to continue producing and result in more healthy salads for you throughout the winter. 9. If you live in a colder area, you may need to protect your plants from the cold while ensuring they still get enough sunlight. You can accomplish this by covering your containers or raised garden beds with garden fabric that allows light to flow through and adds a bit of protection from the cold. The easiest way to do this is to install a frame over your garden bed. 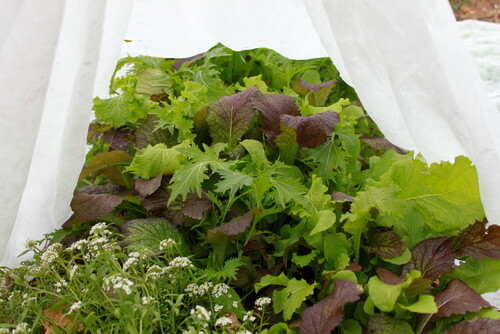 This will also allow you to use shade cloth in the summer if your lettuces need protection from the heat. If regular garden fabric does not seem to be cutting it for the level of cold at your house, you can also use a heavier fabric to keep your plants warm. Just keep in mind that they also need lots of sunlight. 10. 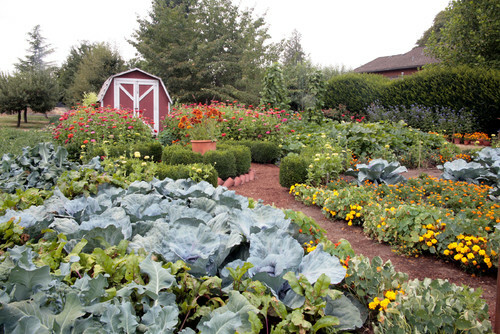 For a greater chance of success, start your garden from plants instead of seeds. In the fall, your local garden center will start selling small lettuce plants that have already had a chance to germinate and grow and that are ready for you to transplant into your garden. While growing from seeds is cheaper, it is also more difficult, and you are taking more of a gamble with whether or not you will have a good harvest. When you start with baby plants, you can choose the healthiest ones with the most foliage to hedge your bet and help ensure a successful salad garden. 11. If you are questioning just how green your thumb is, try your luck with easier-to-grow options, such as Swiss chard, kale, lambs lettuce, spinach or parsley. 12. Remember that greens can grow just about anywhere that you have a little extra space, so you can enjoy winter salads from your backyard even if you do not have a dedicated space for a vegetable garden. You can grow them between flowers in borders around your water-saving, artificial grass lawn, in the empty spaces in turfstone pavers, in containers on your deck or along walkways to add color and texture to your yard. 13. If things do not go quite as planned and your lettuces bolt on you, you can still keep them in your garden and allow them to flower. The greens will taste too bitter to enjoy them as salads or side dishes, but they can still beautify your garden while you hone your gardening skills to have an even greener thumb next year. 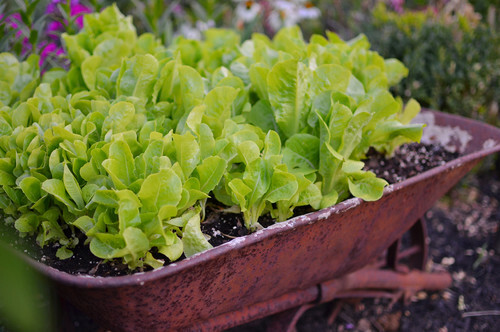 What are your favorite tips and tricks for successfully growing lettuces and other greens in the winter?